Our roofers at John McCarter Construction provides the best roof replacement and repair services you can find in the greater Ann Arbor area. From our experienced professional roofers to our high quality roofing products, we are certain we can take care of your roofing needs. If your home’s roof has sustained damage or you are beginning to notice water spots on the interior ceiling, it is time to have your roof replaced or repaired. Your home’s roof is an essential part of your home and without it, your home would not have the necessary protection from outside elements. If you are in need of a roof replacement, call John McCarter Construction today, the experts in Ann Arbor roofing. John McCarter Construction is proud to use high-efficiency GAF roofing mate­ri­als designed to be the most long-lasting and cost-efficient on the market. GAF roofs offer dependable performance and is North America’s largest roofing manufacturer, offering a wide selection of roofing shingles and options to choose from. When you work with the professionals at John McCarter Construction, you can expect the best experience. If you have a roofing repair that needs to be performed, we will come out to your home and identify the issue. Once we know whether you have a torn shingle, leak, or another problem, we can work to get it repaired. Our roofers are true professionals and will get right to the issue and fix the problem entirely. Why Replace or Repair Your Roof? It is important for you to repair and replace your roof because it can lead to damage to the interior of your home. When you replace and repair your roof, you will have the peace of mind knowing that you are protected from the outside weather. In addition, a roof that is replaced timely or repaired properly can add greatly to the resale value of your home. Why Work with John McCarter Construction? When you work with John McCarter Construction, we provide you with the best service. 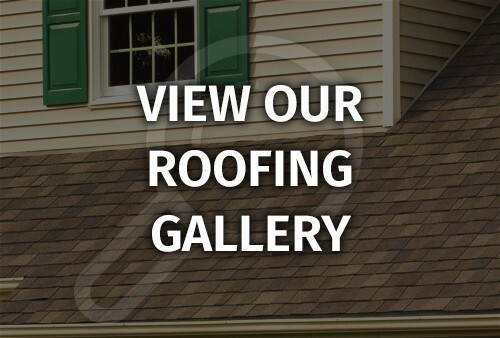 We are the most experienced roofing contractors throughout the area. When we come to your home, we will assess your roof and make recommendations tailored to your roofing needs. We oversee the installation and repair process and guarantee your satisfaction. We repair and replace all types of roofing systems for your convenience. We also offer GAF roofing and custom sanding seam roofs in metal or copper. We also specialize in gutters, siding, window and more. Plus, we offer full-service repair and home improvement services. Once the job is complete, you will love your new roof. Our clients are extremely satisfied with our high standards and the outcome of their roof.